We are offering the new and exciting Babyccino program!! 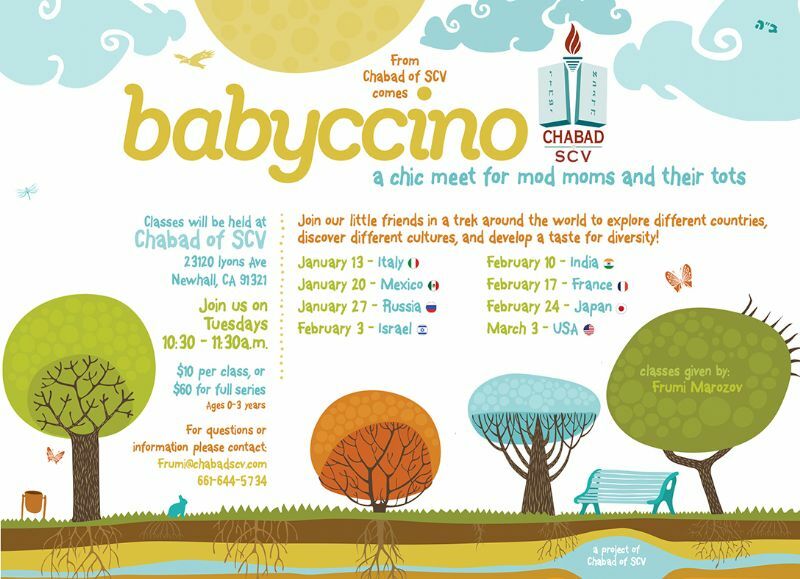 Mommy & Me / Babyccino is a series of innovative classes, for children (infant-3 years) that allow moms and tots to experience Jewish tradition in a stimulating, fun and creative environment. Bask in the joys of motherhood as you discover new things about your child's development.